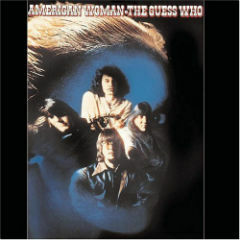 “The Best of the Guess Who” was one of the first records I bought back in the ’70s. It has sufficed all these years. But for the past couple of years, I’ve been noodling with the notion that maybe I ought to dig beyond all those great AM radio hits. I’ve always passed on “Share The Land” because of five of its eight cuts are on that greatest-hits comp. But during an early-morning digging excursion on Black Friday, I found a nice copy of “American Woman” among the dollar records at one of our local indie record stores. On Side 2, from which there were no North American singles, you’re reminded again that Burton Cummings was a tremendous singer and that Randy Bachman was a most versatile guitarist. This was Bachman’s last LP with the group for more than a decade. “969 (The Oldest Man)” is an instrumental that blends “American Woman” riffs into a cool roadhouse jazz vibe. Another cool cut is “8:15,” which foreshadows “Bus Rider,” released later that year. Cummings co-wrote the former with Bachman, the latter with Bachman’s replacement, Kurt Winter (even though Winter brought it from his old band, Brother). Also worth noting: “Proper Stranger” was released as a single only in Australia, where it reached No. 85. “969 (The Oldest Man),” “When Friends Fall Out,” “8:15,” “Proper Stranger” and “Humpty’s Blues (American Woman epilogue),” the Guess Who, from “American Woman,” 1970. This is Side 2. It runs 19:01. (The buy link is to a remastered CD from 2000 with one additional track.) Also available digitally.